There are many types of breast pumps on the market today and it can be difficult to decide which one to use. Avoid bulb type pumps. Cleaning is difficult and suction cannot be regulated. A recently introduced hand pump allows one handed action for pumping. Hand-operated cylinder pumps can be used with a draw and hold method that is strong, controlled and firm. Battery and small electric pumps use a mechanism that creates a continuous vacuum that needs to be interrupted by the woman. If only working part-time, a woman may choose to use a hand-operated pump because it is less expensive and more portable than an electric pump. 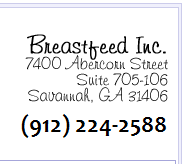 If several feedings will be missed, she may want to consider using a full-service electric breast pump. Ameda/Egnell has a fully automatic, portable electric breast pump which is easily transported and can be rented inexpensively on a long term basis. Some women have access to electric breast pumps at their workplace. 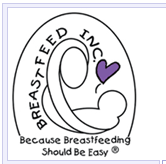 If the company is large enough or employs several breastfeeding women, they may consider having a pump on-site for their employees to use.